Storm Aftermath: Is My Tree Safe? 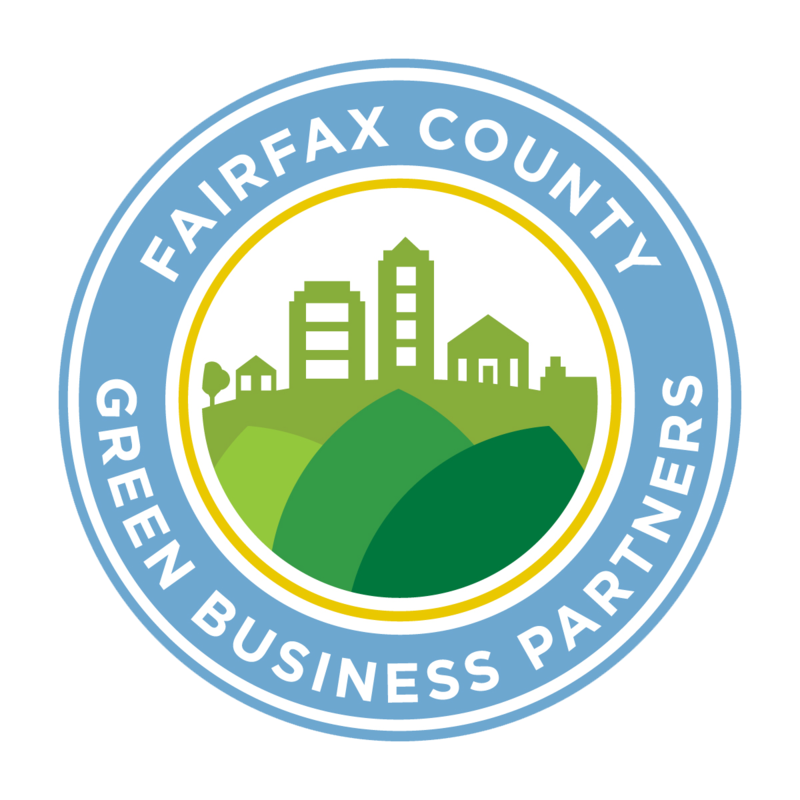 Already this summer Northern Virginia, DC, and parts of Maryland have been hit hard by numerous storms which resulted in damages to homes, cars, people, and their trees. Storms cause tremendous stress and severe damage to trees in the urban forest. Obviously, a snapped or downed tree should be removed. What about a tree that suffers minor damage? 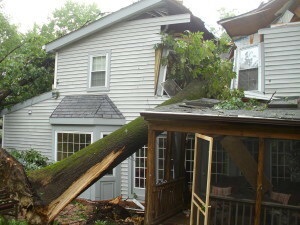 How can a homeowner tell if a tree is safe? If you see any of these warning signs book a consultation with a certified arborist immediately! 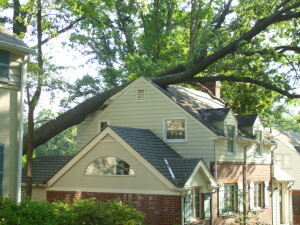 Your tree could be a risk to the safety of you, your family, and your property. Minor Damage: Smallest branches of the tree being injured-usually results in little or no permanent injury. Just cleanup broken twigs and branches. Perhaps a crown cleaning to restore a pleasing shape. Major Damage: Large broken branches, split crotches, removal of bark/splitting of trunk, trees and branches fallen on property. Species: Is this type of tree prone to pests & other problems? Age: Is the tree young, mature, or over-mature. Vigor: What health condition was the tree in before the damage? Value: Does the tree still have value even if partially damaged? Sentimental Value: Is the tree a living monument? If not worth saving, remove it as soon as possible. If the tree dies and isn’t removed if can become a hazard tree, threatening the property around it and adding to the removal costs. When in doubt schedule a consultation with a Certified Arborist. Next DON’T LET YOUR TREES BECOME A NIGHTMARE! Previous Watering Your Trees: How Much Is Too Much?